Wormers There are 12 products. 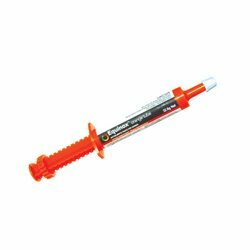 Equinox Orange Tube is a broad spectrum benzimidazole group anthelmintic with a wide safety margin for use in horses that comes in a palatable paste formulation. 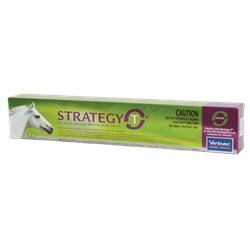 It is the ideal wormer to be used in a rotation program as it contains oxfendazole. 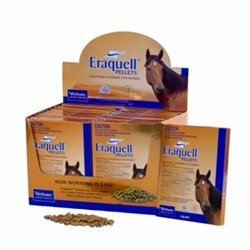 Eraquell Pellets are recommended for the treatment and control of common worms and bots in horses. ValuMAX Red Tube is a complete all wormer for horses that treats all worms, including tapeworm. Safe, broad spectrum horse worming paste that effectively treats common worms of horses including large strongyles, small strongyles, ascarids, pinworms and tapeworms. 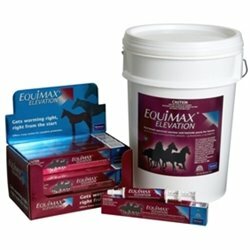 Safe for use in foals, pregnant mares and breeding stallions. 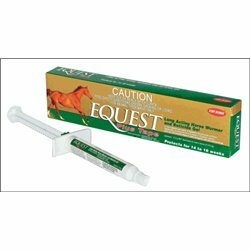 Equest Plus Tape long acting horse wormer and boticide gel is the only horse wormer effective as a single dose against encysted stages of small strongyles: developing stages (DL), late encysted stages (LL3/EL4), and aids in control of early encysted stages (EL3) including inhibited larvae (greater than 90% effective). 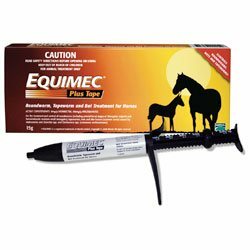 THE ULTIMATE 3-IN-1 BROAD-SPECTRUM ALLWORMER FOR HORSES. Evolve is a broad-spectrum wormer & boticide for horses. It is a complete worming treatment. Revolve rotational wormer is a new equine wormer to complement Evolve wormer and together provide a complete rotational worming solution. For the treatment and control of roundworms, tapeworms, bots and skin lesions caused by Habronema and Draschia spp. and Onchocerca spp. (cutaneous onchocerciasis). 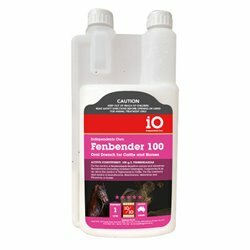 Fenbender 100 wormer is a ready to use broad spectrum worm drench for control of benzimidazole sensitive mature and immature roundworms and lungworms in cattle, and for the control of large strongyles, small strongyles, ascarids and pinworms in horses. 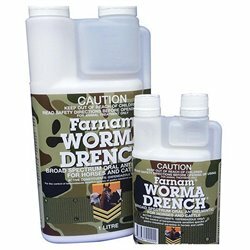 IAH Worma Drench is a low cost ‘pour-in’ to feed worming system that can also be administered as a drench or via syringing into the mouth.